Spring is here and just as baseball returns to America in April, in March the automotive world celebrates the return of Formula 1 and the competition between the best drivers of the world, which will begin once again in Australia. 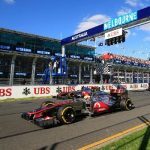 The Grand Prix of Australia, which marks the start of the 2017 Formula 1 season will take place this weekend at Albert Park, in Melbourne. A semi-urban runway situated around Lake Albert Park, south of Melbourne, Albert Park will kick off a season full of changes and new features. The aesthetics of the F1 cars have undergone many modifications and the regulation changes are expected to produce more exciting races for the fans and make things more competitive for the drivers seeing exciting races. With 3.29 miles in length, the track has hosted motor racing since 1928 with different types of cars, but it was not until 1996 when Formula 1 made it a regular stop. Before that, Adelaide organized the Australian Grand Prix from 1985 to 1995. Despite being a semi-urban track, the circuit is wide and fast. These characteristics make Albert Park a race in which you can see intense overtaking through its streets. Nice weather is expected throughout the weekend and for the race as sunny days with just a few clouds have been forecasted from Friday on. Temperatures that will start around the mid 70s on Friday and should reach mid 80s by Sunday. 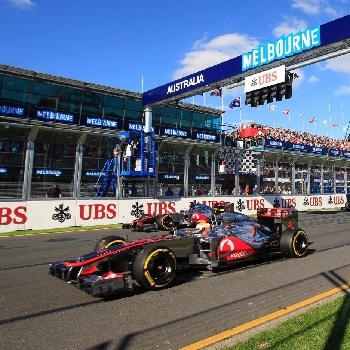 Of the 21 editions held, McLaren and Ferrari are the most winning teams in Melbourne. Between the two they accumulate a total of 12 victories. David Coulthard (1997 and 2003), Mika Häkkinen (1998), Lewis Hamilton (2008) and Jenson Button (2010 and 2012) have won this race for McLaren. In the case of the Italians, Eddie Irvine (1999), Michael Schumacher (2000, 2001, 2002 and 2004) and Kimi Räikkonen (2007) have won in Melbourne. Schumacher is the driver with most wins in Melbourne with four. As for wins by country, in total, British pilots have won nine times, the Germans seven and the Finnish three. Of the current drivers, Hamilton is the one that has been at the top of the podium most times. The Englishman won in 2008 and 2015 with McLaren and Mercedes.